Travelers heading south from Rehoboth or Dewey Beach towards Bethany Beach can tell you about the Indian River Inlet bridge they cross on their way down the coast – how beautiful it is lit up in blue, how the views of the sunsets are among the best in the state, and how they hold their breath – even just a little bit – every single time they cross it. Despite the fact that the bridge is brand new and it’s said that it will last 100 years, it’s hard to find someone in Delaware who fully trusts the Charles W. Cullen / Indian River Inlet Bridge because of its dark history and the difficulties of keeping a bridge over the small span from the Indian River into the Atlantic Ocean. This timber bridge deteriorated quickly due to the rough water and conditions of the inlet, so while it was a good place to start, it did not even last beyond five years. 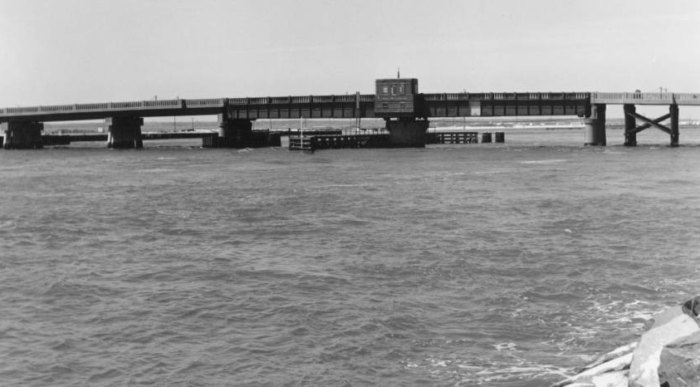 The replacement was a concrete and steel swing bridge, completed in May 1940. 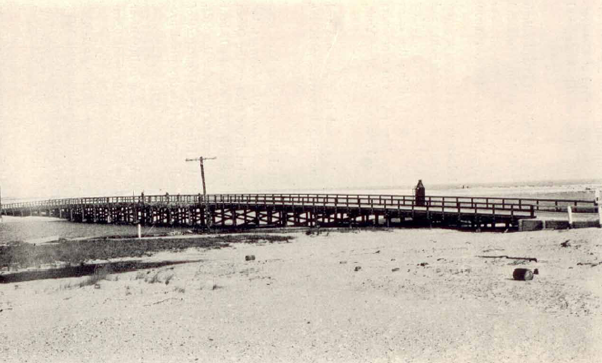 This bridge was stronger than the timber bridge and saw a fair amount of traffic, as Delawareans were starting to like the idea of traveling down from Rehoboth Beach without having to go far out of the way. Unfortunately, this bridge wasn't quite strong enough for the inlet's powerful water, and on February 10th, 1948, the bridge collapsed, due to damage from ice flows and a strong wind. There was a pickup truck carrying three men on the bridge when it collapsed, and they fell into the icy inlet, never to be seen again. 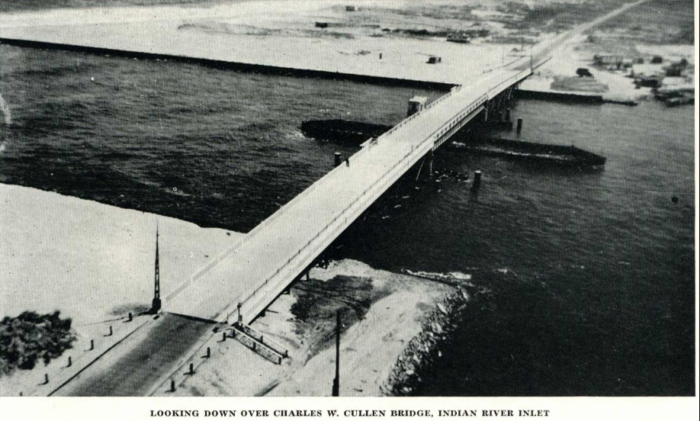 In the 1950s, Engineers gave Indian River Inlet another shot. The 1952 bridge held up well, although it was still facing the challenge of dealing with scouring from the river and inlet's water flow. Delawareans did like the bridge and how convenient it made traveling between beach resort towns, up and down the coast. However, March 1962 changed the bridge forever. The Ash Wednesday Storm had many victims, most along the beaches, and the Indian River Inlet Bridge was no exception. 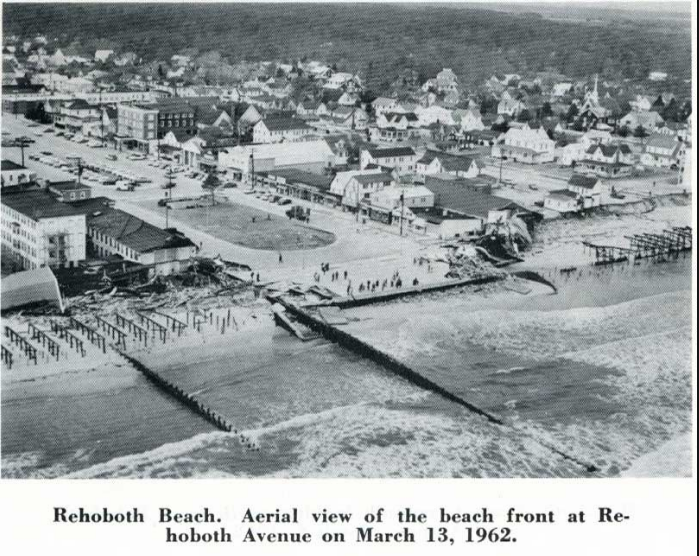 The same storm that leveled Rehoboth Beach also took out the bridge, leaving Delawareans with no way to travel down the coast. If you're keeping count, that's bridge #4. This bridge seemed sturdy at first, and a second span was added in 1976 to accommodate the heavy traffic. However, the same scouring that lead to the demise of the previous bridges hadn't changed, and by the 1980s, significant damage was noted by the United States Army Corps of Engineers. 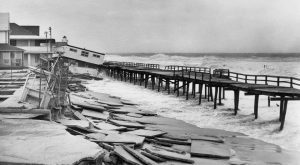 By 1989, the bridge was declared "structurally deficient", and reports claimed that one severe storm could cause collapse. By 2005, multiple reports from engineering and research firms declared that collapse was imminent, and that sometime 2008-2013, the bridge would fail. 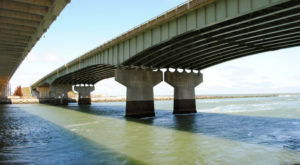 Delaware DOT was facing a real problem here, as between 14,000-28,000 cars crossed the Indian River Inlet Bridge daily. Delaware began to talk about a new Indian River Inlet Bridge in 2003 - but it wasn't an easy task. 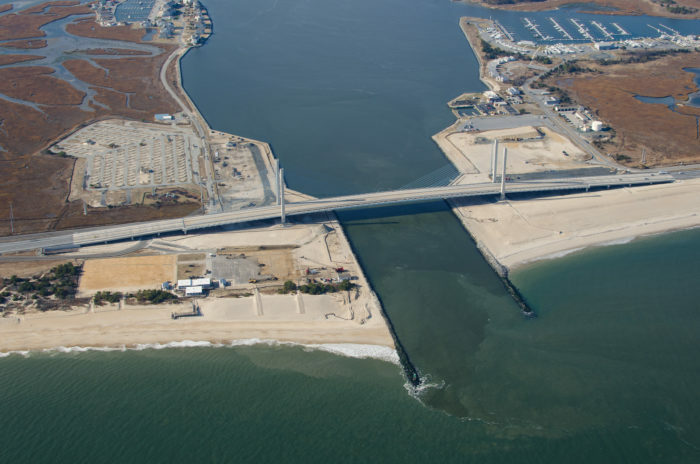 The first contractors were awarded the project in 2003, and they planned the longest arch span bridge in the world, to keep the piers out of the water and prevent scouring. 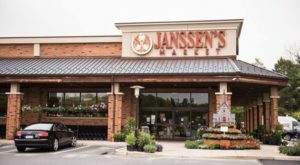 By 2005, the project was delayed due to budget cuts, and the contractors were forced to rethink their design to cut costs. 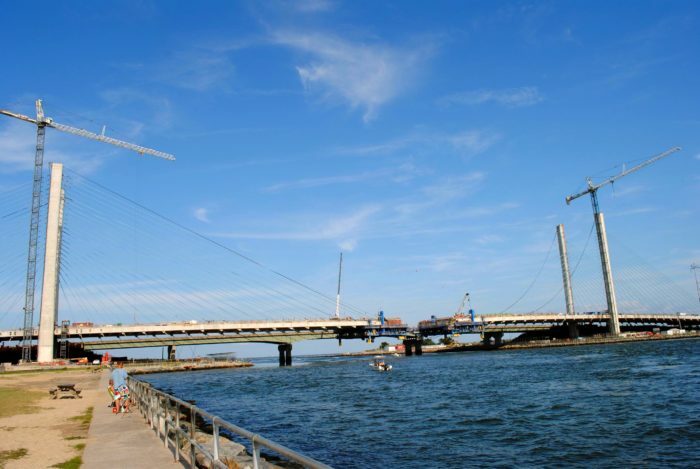 In 2006, it was determined that a cable-stayed bridge was the way to go, and construction began. 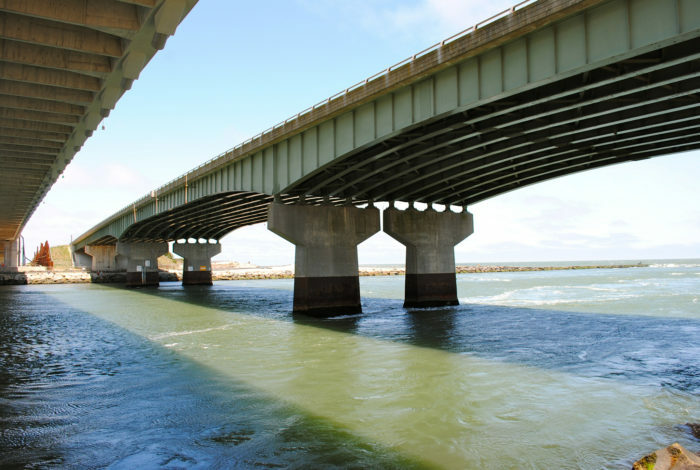 However, this is the Indian River Inlet Bridge we're talking about, so it wasn't that simple. By Fall 2006, project managers noticed the constructed ramps were moving and unstable, and one year later, the project was scrapped and their contract was cancelled. In 2008, the new bridge project was revitalized, and the unstable ramps were removed. In August, a new company was awarded the contract, and they began to work on plans for a longer cable-stayed bridge than the 2005 contract had planned. 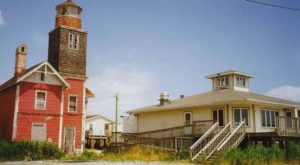 They reached out to the public for influence, and public voting called for blue cables and nautical themes on the walkways, which had gotten federal funding. Construction began in July of 2009. In true Indian River Bridge fashion, a fire at one of the sites in 2011 caused delays, but no major damage was reported. 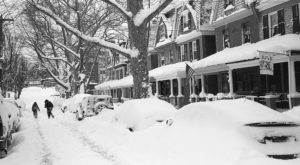 Were the men of the 1948 collapse haunting the project? 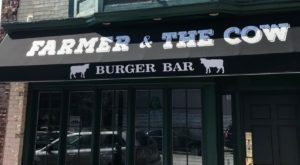 It sure seemed so. In August of 2011, the North Side was completed. Now, you can walk or bike across the bridge to take in beautiful views of the Indian River Inlet and Delaware Seashore State Park. 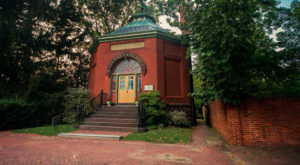 The walkways and bikepaths are very well maintained, and offer you some of the prettiest views in the state. 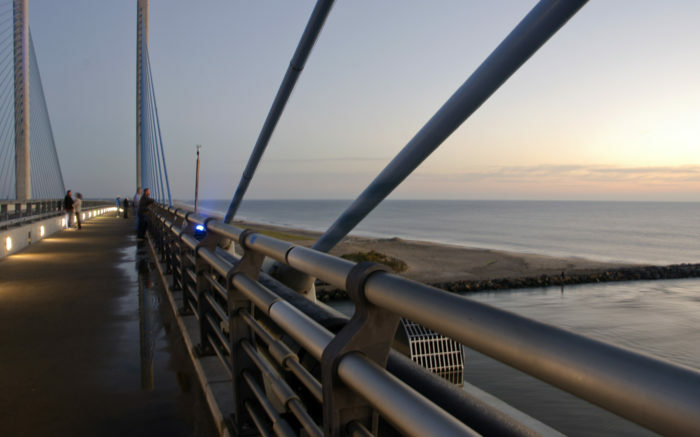 Spend a day at Delaware Seashore State Park and pedal out to the middle of the bridge to watch the sunset before heading home. It was a mighty project, but it seems like the new Indian River Inlet Bridge is here to stay. It took decades of trial and error, but engineers now say that the new Indian River Inlet Bridge is stable enough to last 100 years - but do you believe it? 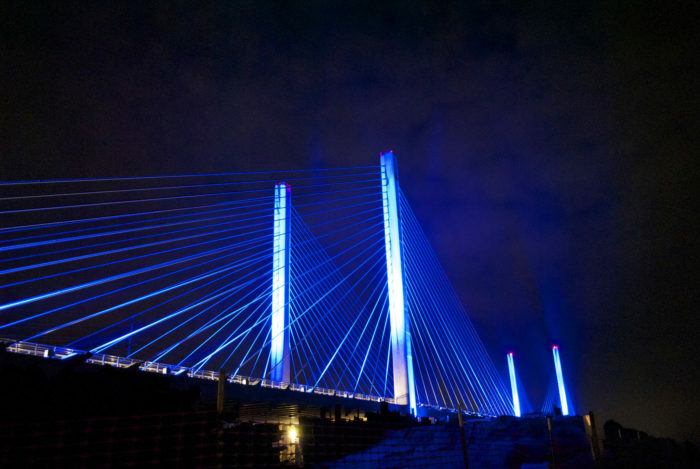 Next time you see the beautiful blue cables of the Indian River Inlet Bridge, think about the history and how difficult it was to plan and build, and you’ll appreciate it for more than its glowing light in the night.